Confirmed by Larry. 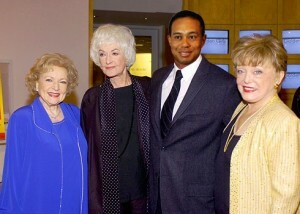 Tiger met Rue at some breast cancer benefit. He had them on his list as “those TV ladies.” What won’t he hit? But wait: It gets worse. Art work by Photo Editor Jay.